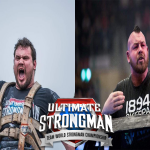 Krzysztof Radzikowski will compete, alongside the ‘Killer’ Mateusz Kieliszkowski in the Ultimate Strongman Team World Championship 2019! 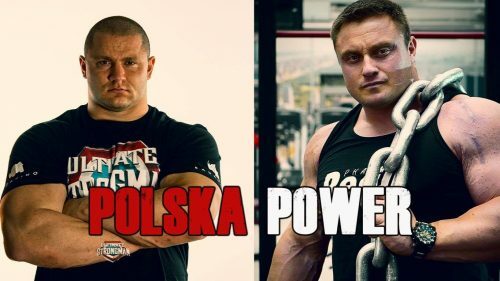 POLSKA POWER! We were able to organise a Q & A with these 2 legends as they prepare to take on the best in the world. Q1. How are you feeling about the Ultimate Strongman team world championship 2019? Mateusz: I think it will be a great competition because I am competing alongside my great friend Radzikowski. Last year, I did not perform well in this competition so now I want to win. Krzysztof: This will be my first time competing with Ultimate Strongman and I am looking forward to this team competition. I feel in good shape this year and I am ready to win. 2. What do you think of your team partner? Mateusz: Radzikowski is a great athlete, we are the best in Poland so we have a great chance. We are both good at overhead so we expect to do well in that discipline. 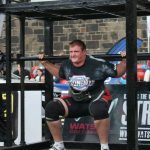 Krzysztof: Mateusz is the future of strongman, he has proven over the past few years that he is one of the worlds best. With him as a team partner, we will be hard to stop. 3. Will you be training together? Mateusz: We will train together when we know the events, but we know we must work together if we are to win this contest. Krzysztof: Of course, we live near each other and train very similarly, we train 2 days a week together. If we work and train together we can become strong as a team. 4. How do you train for a team event? Mateusz & Krzysztof: We will train the same events as the contest. We will work together in different lifts so we have good communication and work together so we do not waste any energy. 5. What makes you think you can win this contest? Mateusz & Krzysztof: We both want to win but on the day we don’t know what can happen. 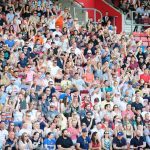 With this being such a demanding sport, we need the fans to help us perform to our best!